Crafters Companion > Blog > Make this cute Bunny Ears Headband – perfect for little ones this Easter! Make this cute Bunny Ears Headband – perfect for little ones this Easter! It’s one of our favourite times of year for sewing! 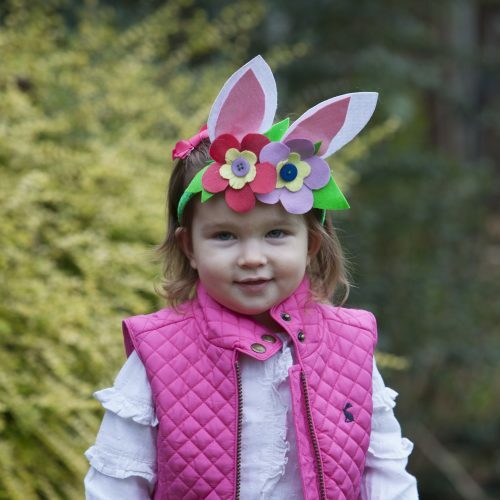 There are so many amazingly cute projects to be made at Easter – including this sweet headband! 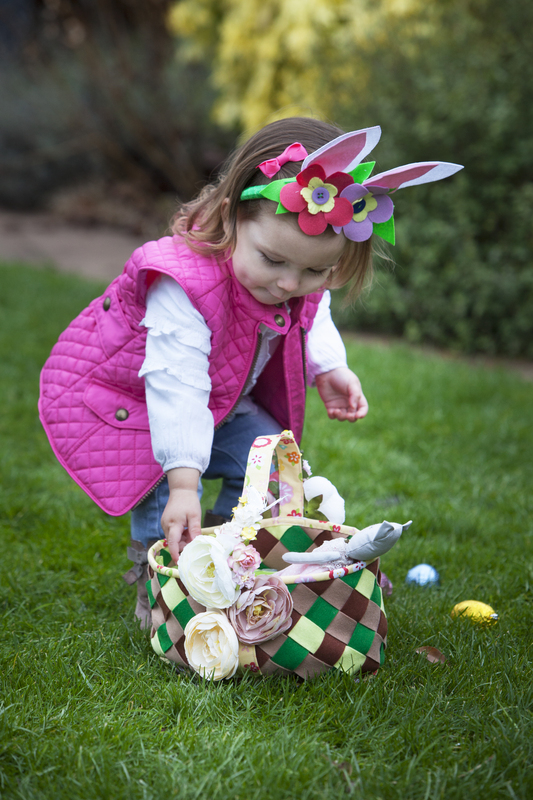 Follow our step by step tutorial put together for you by the wonderful Abey Burne to make this adorable headband – ready for the little one’s Easter egg hunt this year! 1 Use a hot-glue gun to apply glue to one end of the headband, secure the ribbon to it and wrap it around the headband. Secure the ribbon with glue on the other side and ensure that the ribbon covers the entire headband. 2 Cut the flowers from felt using the template and some leaves. Cut between the petals to shape them when they sit on the headband. Layer them together with the leaves, stitching a button onto the centre to secure them. 3 Spray the felt for the rabbit ears with fabric stabiliser and once dry, cut the rabbit ears from it. Assemble the ears, place glue on the underside of the top of the headband and fold the bottom 1cm (½”) of the ears onto it to secure them. 4 Use the hot-glue gun to embellish the headband with the flowers from Step 2 and allow it to cool. Your rabbit ears are now complete for any little bunny hop along on their Easter egg hunt! Liked this tutorial? Find more like it in Issue 11 of Sew Inspired. Buy your copy here!